An all round, reliable switch pack that provides high level spill prevention with a fixed level switch point and a 10A compact relay controller for pump or valve actuation. 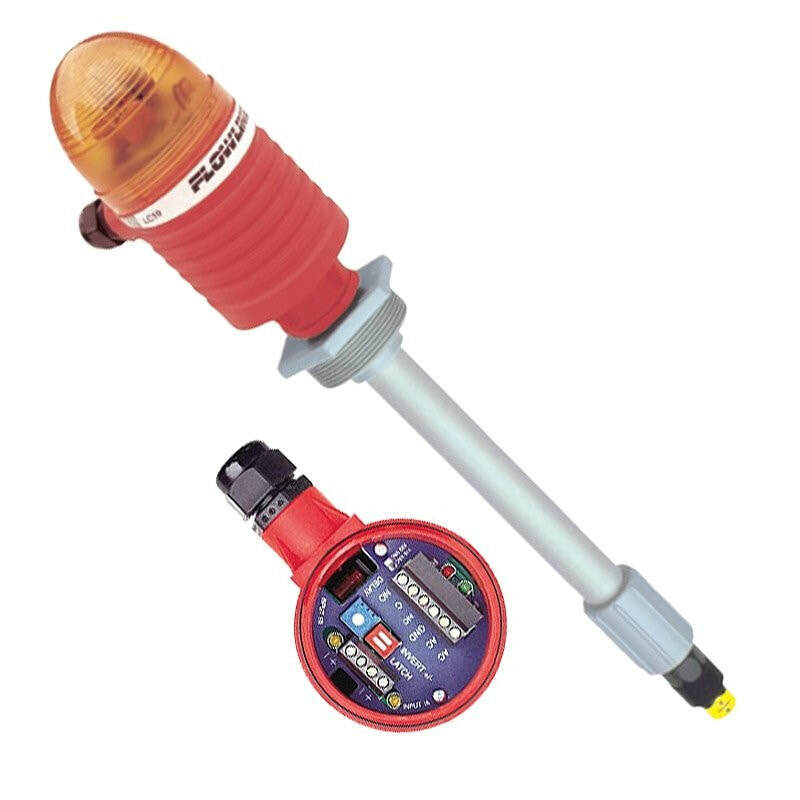 The Switch Pak AV13 Float Level Switch has an optional strobe alarm which visually alerts high level conditions that require immediate attention. The Switch Pak AV13 is typically selected for pressurised and/or highly corrosive bulk storage, day tank and waste sump applications. The Switch-Pak Float Level switch with Compact Level Controller is a general purpose switch package providing a complete solution for high level spill prevention with a fixed level switch point and 10A compact relay controller for pump or valve actuation.